Supporters of women bishops in the Church of England say it is still uncertain whether a new wording in the proposed law satisfies their concerns. A vote on the law had be put off in July after a House of Bishops amendment angered those who back women bishops. The House of Bishops adopted a new wording on 12 September, which will be voted on by the Synod in November. Opponents of the measure say the new clause weakens assurances which they were already dissatisfied with. The new wording adopted overwhelmingly by the House of Bishops this month was proposed by the Reverend Janet Appleby, a vicar from North Tyneside. The House of Bishops amendment which caused the row in July was intended to reassure opponents of women bishops. It said male bishops and priests appointed to look after parishes opposed to women bishops must act in line with the parishes' "theological convictions". This infuriated supporters of women bishops who felt it enshrined theological objections to women's ordination in law. What is clause 5 (1) (c) ? Section 5 of the the draft measure on women bishops states that the House of Bishops must draw up a code of practice on implementing the measure. It says male bishops or priests looking after objecting parishes should exercise their ministry consistently with "the theological convictions as to the consecration and ordination of women" of the parishes. The redraft agreed on 12 September says male bishops and priests should be selected "in a manner which respects the grounds on which parochial church councils issue Letters of Request"
At its September meeting, the House of Bishops gave overwhelming support to a fresh amendment proposed by Mrs Appleby, who is vicar of Willington and a member of the General Synod. It says the stand-in male bishops should be chosen in a way which "respects" the reasons the parishes have for requesting them. "The bishops were deeply impressed by the moral and spiritual and relational content of this word 'respect', and they were eager to go for a form of words that had the advantage of simplicity and directness about it," Archbishop of Canterbury Dr Rowan Williams said afterwards. Speaking to the BBC News website, Mrs Appleby said: "After July the bishops said they were going to consult and I thought I would see if I could help. "I'd be very pleased to see women bishops; I think it will be good for the Church... I think we need to affirm that at the same time we recognise that we need to continue to respect those who disagree." However, the pressure group Watch (Women and the Church) said: "It will take time to explore the implications of the new wording." The Reverend Hugh Lee, convener for Watch in the General Synod, said the new wording was "a great improvement on what was presented to us before July". "But it's a matter of looking more carefully before we can be sure that it makes sense and doesn't discriminate against women," he went on. Watch fears that giving too much autonomy to the stand-in male bishops would mean a woman bishop did not have full authority in her own diocese. Much would depend on how the new clause would be interpreted in the Code of Practice which would follow the passing of the law, to govern the appointment of the stand-in male bishops, said Mr Lee. A new draft of the code is expected before November. Many opponents of women bishops - who want bishops appointed to look after them who are acceptable to them - were already unsatisfied even by the previous wording, and say they are even less happy now. "It's not satisfactory from my point of view, nor was [the original clause]," said Jim Cheeseman, member of the Anglo-Catholic parish of Sevenoaks and General Synod member. "I would probably vote against as a matter of principle in any case. It would take a pretty good deal to convince me to do anything else, which is not in the measure at present." The measure did not face up to the "real problems" of how someone who thought as he did would relate to a woman bishop - that is, someone "who we don't consider to be a bishop". The Reverend Paul Dawson, spokesman for the conservative evangelical group Reform, said the new clause was "not going to win any more votes from our constituency." Of the previous House of Bishops amendment, he said: "Although we weren't entirely happy with that, there was a sense in which we could probably have lived with it." Reform is holding a conference later this month which he said would discuss "Assuming this goes through as it is, what do we do then?" Already young men from evangelical parishes who were considering entering the clergy were unsure whether there would be a welcome for them in the Church, said Mr Dawson. Many people think that in practice the bishops appointed by the diocesan bishop to look after dissenting parishes will of course be men sympathetic to their objections to women bishops. But if that is simply in the Code of Practice and not the law itself, different bishops in different dioceses may decide to act in very different ways in making the appointments, Mr Dawson warned. The draft law faces a tough test when it comes to its final General Synod vote, in which it will require two-thirds majorities in all of the General Synod's three houses - Bishops, Clergy and Laity. It is likely to face its toughest test in the third of these. 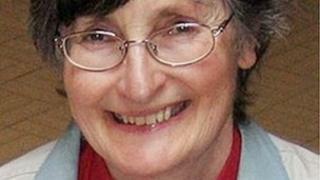 It is the CofE's "gift" to accommodate people of conflicting views, Mrs Appleby said. What is needed is "something that can keep everyone on board as much as possible without compromising the bishops of the future - whichever bishops", she said.